Things have been a bit quiet on the blog of late. This is mostly because I am trying to eat my fridge and freezer bare before going away soon. This doesn’t make for very thrilling posts. Oven heated chips and bought vegetable gyoza don’t really cut it. 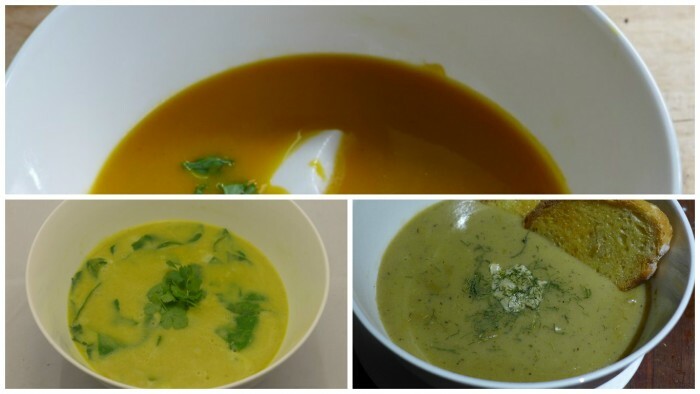 I’ve also been making a few old favourite soups such as Thai Curry Sweet Potato, Brussels Sprout and Potato and Coconut Curried Split Pea but you’ve already seen those. But there is a lot of posting about to come. I’ll be travelling for 5 weeks in Europe in The Netherlands, Belgium and Germany with a stopover in China. I’ll be leaving in a couple of weeks. So stay tuned for lots of eating and travelling posts starting soon. I will read with much envy and sighing!